The Porsche Panamera also shines a little brighter than the BMW M6 Gran Coupe in terms of number of transmission speeds and some standard features. Porsche doesn’t limit you to their tastes, they offer an array of customizable options in terms of color schemes, materials, and feel – sporty vs. luxurious, or both! Browse our inventory below, then schedule a test drive to let the 2018 Panamera show off in person. 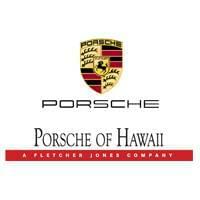 Contact Porsche Hawaii today for information on dozens of vehicles like this 2018 Porsche Panamera . You deserve a vehicle designed for higher expectations. This Porsche Panamera delivers with a luxurious, well-appointed interior and world-class engineering. Based on the superb condition of this vehicle, along with the options and color, this Porsche Panamera is sure to sell fast. The 2018 Porsche exterior is finished in a breathtaking Jet Black Metallic, while being complemented by such a gorgeous Black interior. This color combination is stunning and absolutely beautiful! Beautiful color combination with Jet Black Metallic exterior over Black interior making this the one to own!